Allergens Tree nuts, packaged in the same facility as peanuts, milk, sesame, soy. 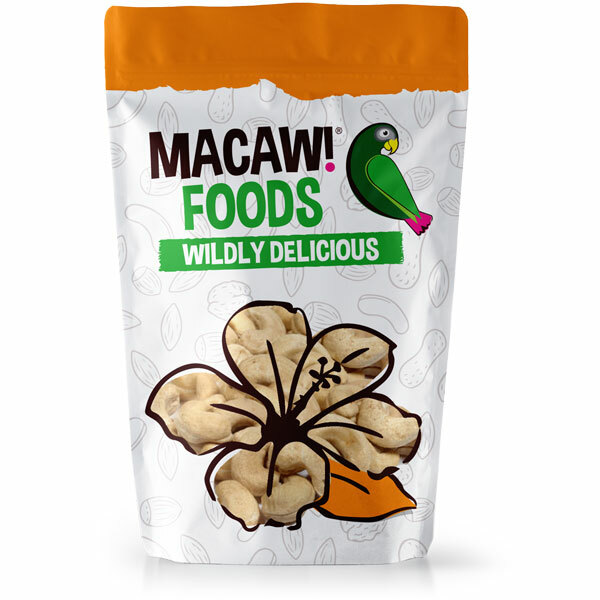 You'll love our fresh and delicious organic raw cashews! Once one of Brazil’s most delightful natives and now widely cultivated in Europe, Africa, and India, cashews are a delightfully nutritious snack. Cashews are bursting with powerhouse antioxidants, vitamins E, K, and B6 and minerals including copper, phosphorus, zinc, magnesium, iron, and selenium. Combined, these natural health boosters are essential for the body’s proper functioning and overall good health. Aside from having a lower fat content than other popular nuts, around 82 percent of cashews fat content is in the form of unsaturated fatty acids. Further, about 66 percent of this unsaturated fatty acid happens to be oleic acid heart-healthy monounsaturated fats similar to olive oil. There is no question cashews are an all-natural superfood jam packed with nutritious goodness making them perfect for staving off those cravings for unhealthy snacks. • The cashew resin is used in the automotive industry to make brake linings and paints. Conventionally grown cashews require the use of pesticides. 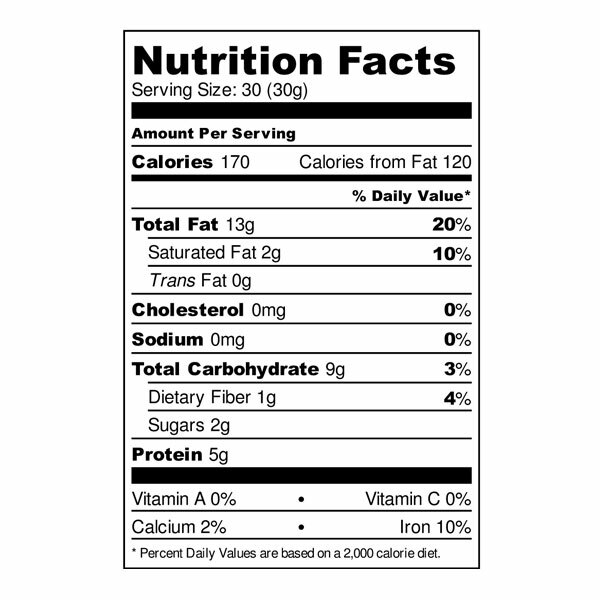 Due to their high fat and oil content, nuts and seeds act like miniature sponges for these agricultural chemicals. Unfortunately, these chemicals tend to permeate the shells and work their way into the food chain. These are potentially damaging to both our physical health and the environment. Organic cultivation does away with pesticides and other potentially harmful farming practices. By going organic, you are not only making a healthy choice but also supporting more sustainable farming. Cashews have high levels of oleic acid and oil. Oleic acid extends cashews shelf life. However, the high oil content makes them perishable if not stored correctly. 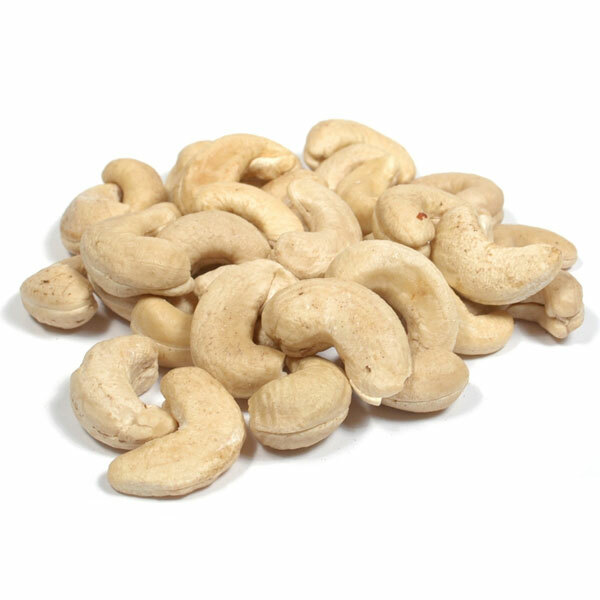 Store cashews in an airtight container in a cool, dry place to avoid absorbing food odors. Refrigerated cashews can last up to eight months. Cashews can also be frozen for 12-24 months. Cashews are a fundamental part of any Paleo or vegan diet. Enjoy them on their own as a snack or include them in sweet and savoury dishes. Halved or chopped cashews bring Asian stir-fries, curries, and noodles to life and they are especially good added to beef, chicken or prawn recipes. Cashew nuts make delicious additions to salads, deserts, and even ice cream!